We’re a society that is running on sugar — and it seems to be in everything these days. From tomato sauce to fat-free yogurt, experts estimate that the average American consumes around 60 pounds of added sugar each year. Not only are we consuming far too much sugar, were also exposed to a long list of artificial sweeteners as well. It’s well understood that these additives are harmful to our health, so are there any alternatives? Before we dive into more natural sugars, it’s important to note that moderation is key here. Although the sugars listed below are in many ways beneficial, they still should not be consumed in excess. We are being bombarded with information regarding sugar and its effects on obesity, diabetes and even cancer. This is important, as we need to become more aware of the foods we’re eating — especially those packed with refined sugars and sweeteners. If you love fruit, no need to be concerned. Although high in sugar, consuming whole fruits provides you with beneficial nutrients and fiber. A tablespoon of refined sugar, on the other hand, leaves you with nothing but elevated blood sugar levels. If you’re trying to cut back and clean up your diet, here are four sugar substitutes to focus on in the new year. Dates are one of those foods that should not be eaten by the handful day-in and day-out. Sure, they offer key nutrients, including B-complex vitamins, but they’re still around 70 to 80 percent pure sugar. In comparison to granulated sugar, however, buying a quality source of date sugar that has not been processed or refined will help reduce your overall sugar intake. For example, one teaspoon of date sugar contains around three grams of sugar, whereas refined, granulated sugar contains around 4.5 grams. Although it isn’t one of the lower glycemic alternatives, it is minimally processed. Since this option is essentially ground dehydrated dates, you can still benefit from natural flavonoids, fiber, vitamins and minerals. In order to better understand the effect that dates and date sugar have on our health, it’s important to focus on one key population — diabetics. Within one study, five types of dates were examined in terms of their glycemic indices. While studying type 2 diabetics, researchers found that all five types showed low glycemic indices and did not promote a spike in their blood glucose levels. Unlike the sugar you may be used to, date sugar will not dissolve or melt. Meaning, you’re better off using raw honey or coconut oil in your coffee or tea. When using as a substitute for baking, just be sure to blend well in order to avoid clumping. Raw honey has been all the “buzz” in recent years and for good reason. A staple in our home, my tea-guzzling English husband no longer touches processed sugar. It’s no secret that the nutritional profile of raw honey is impressive. It contains more than 20 amino acids, 25 minerals and thousands of enzymes. But is it a healthier alternative? Whether you’d like to sweeten your tea or spread something on your toast, raw honey actually provides you with nutritional value. Remember, it’s all about moderation. When limited in terms of intake, raw honey is most certainly an optimal choice in comparison to refined sugar alternatives. Plenty of studies have documented honey’s antibacterial effects, but what about its effect on blood sugar? 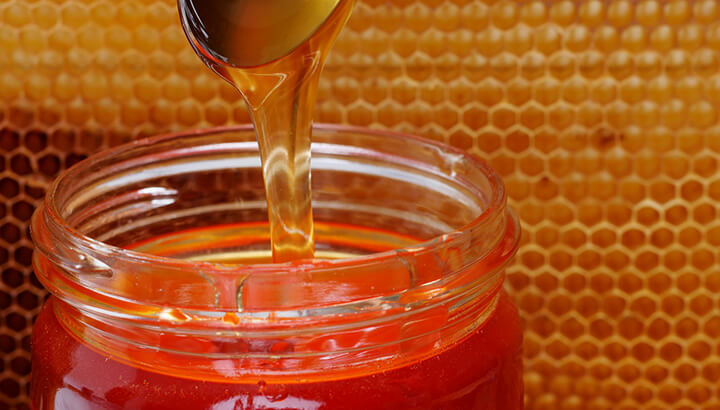 Within one study, diabetics were once again studied in terms of natural honey consumption. Researchers found that after eight weeks of consumption, honey actually offered beneficial effects on both blood lipids and body weight. Although there were no differences between the honey and placebo group regarding fasting blood sugar, the honey group did experience a slight increase in hemoglobin A1C levels. Meaning, once again, moderation is key. Another recent study highlighted the benefits of raw honey in combination with anti-diabetic drugs. The addition of raw honey actually improved glycemic control, increased antioxidant defenses and reduced overall oxidative damage. From its anti-tumor benefits to its anti-inflammatory effects, honey offers numerous health benefits when consumed in small amounts. Just remember: quality matters. Stick to local, organic raw honey — not the honey found in bear-shaped containers. Being a Canadian, there’s no shortage of maple syrup in my neck of the woods. A few mile from my childhood school is a large forest where we used to tap trees in the spring. Believe me, you haven’t tasted maple syrup until you have had the sap straight from the tree, before it is boiled and processed. Acting as a sweet addition to any stack of blueberry pancakes, pure maple syrup is anything but pure sugar. Maple syrup contains protein, fat, water, as well as vitamins and minerals. This sweet treat actually offers key health benefits when consumed in, you guessed it, moderation. Maple syrup may even help reduce one’s use of antibiotics. In 2015, McGill University discovered something interesting about our nation’s go-to syrup. Published in Applied and Environmental Microbiology, researchers found that when maple syrup was combined with common antibiotics, it increased the susceptibility of microbes. The researchers tested maple syrup extract’s effect against infectious strains like E. coli. Researchers found that when applied by itself, the maple syrup was mildly effective. When combined with antibiotics, however, it enhanced the effectiveness of these drugs, helping to reduce overall antibiotic use. Although this is exciting, the benefits of maple syrup do not end there. Another 2015 study showcased the potential anti-cancer benefits of this syrup based on key phenolic compounds. When researchers administered colorectal cancer cells with maple syrup, they observed lower growth rates. Researchers concluded that maple syrup may inhibit cell proliferation and invasion, with very few adverse effects. My dad is from the far east coast of Newfoundland and molasses is an ingredient that is often used in a range of recipes. Back when the fish trade was booming, cod was exchanged for goods like molasses and coffee, which lead to new traditional foods, like home-cooked, traditional molasses baked beans — mmm, yes please! 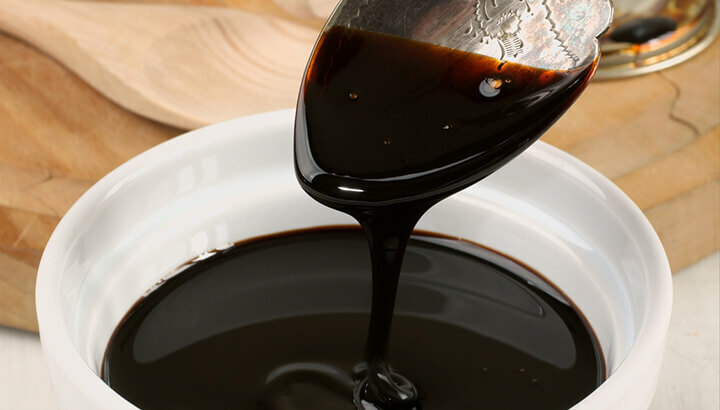 Having the lowest sugar content of any cane sugar product, blackstrap molasses is unlike refined sugar in that it too contains key vitamins and minerals. From copper to iron, potassium to magnesium, research has shown this sugar substitute to promote key health benefits. These include reduced stress levels and enhanced skin health. When you consume molasses, especially blackstrap varieties, you benefit from key antioxidants. 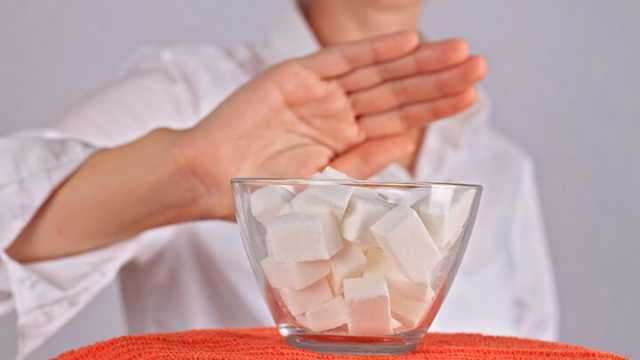 Within one study, researchers found that sugar cane molasses exhibited a protective effect in cells. Researchers concluded that molasses can be used as a low-price, highly nutritious commodity in developing countries. So, as we move into the new year, focus on reducing your intake of heavily processed sugar and processed foods in general. Start to get creative in the kitchen and put your health first. Hey Buddy!, I found this information for you: "What You Can Do To End The Refined Sugar Madness". Here is the website link: https://www.thealternativedaily.com/natural-sugar-substitutes/. Thank you.